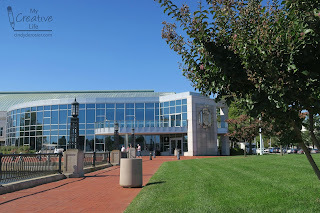 As I mentioned in my last post (about the Atlas Fire that got way too close for comfort), our family just returned from an East Coast adventure that took us to Maryland, Delaware, New Jersey, and Pennsylvania. We had a fantastic time. 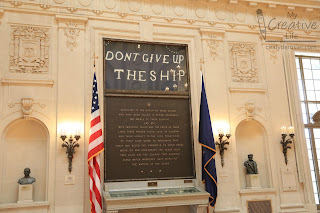 Over the next two weeks, I'll be sharing what we did and what you won't want to miss the next time you visit these states. We began our journey in the evening on Sunday, October 1. We took a red-eye (Trevor's first) from San Francisco to Baltimore. 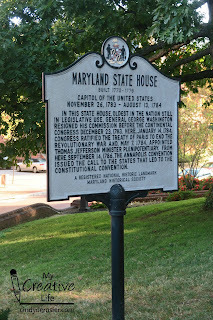 We arrived in Baltimore at 7:00 am, picked up our rental car, and took a short drive to the capital of Maryland. Our first goal was to find breakfast. 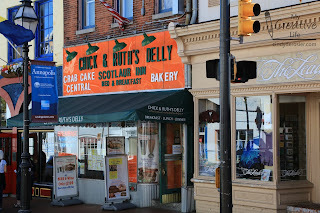 I'd read about a quirky restaurant called Chick & Ruth's Delly that I wanted to try. The reviews were great and it sounded like a lot of fun. 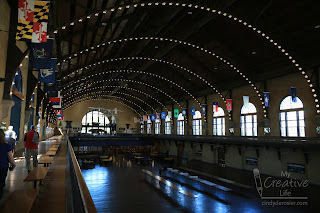 Unfortunately, we were a few minutes too late to experience the morning flag salute, but the food was excellent. 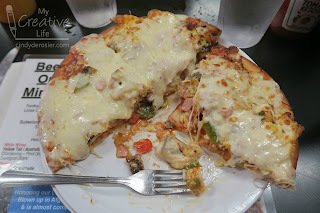 Steve had (huge) pancakes and Trevor and I split a delicious breakfast pizza. 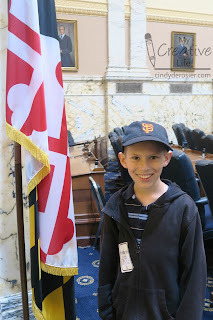 With full bellies, we headed to the Maryland State House. It is the oldest in the US that is still in use by the legislature. 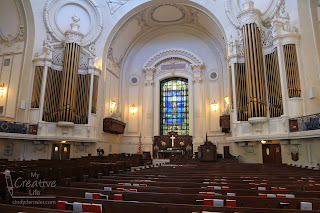 It is also where George Washington resigned his commission as General in 1783. And, it is the place I took one of my absolute favorite photos from the whole trip, thanks to Officer Harris. 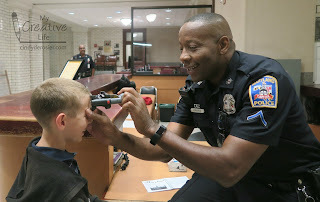 He's pretending to stamp the date and location on Trevor's forehead, instead of in his State Capitols book, which is sitting on the desk open to the Maryland page. I'll be sharing all about the book soon. 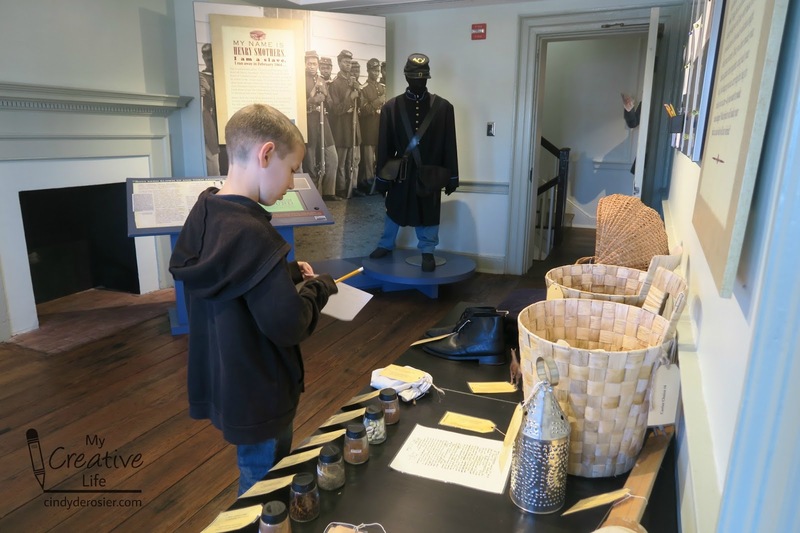 Our next stop was at the Historic Annapolis Museum. 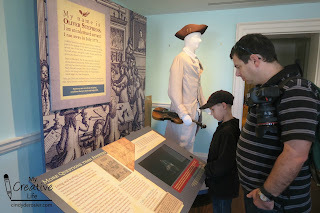 This wonderful museum had an outstanding exhibit called 'Freedom Bound.' 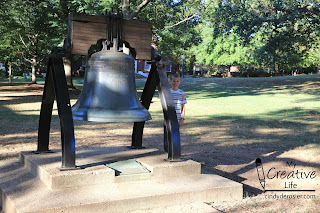 It told the stories of resistance to slavery and servitude in the area from the 1720's to 1860's. It was very powerful. One hands-on exhibit asked museum-goers to examine the items a slave or indentured servant might consider taking during an attempted escape. Each item has the potential to be beneficial or a burden depending on circumstances. And there's only so much you can carry as you flee. 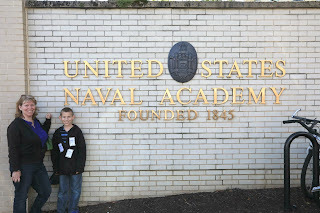 Our next destination was the United States Naval Academy. 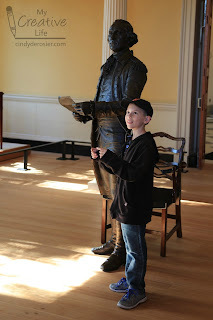 We took a guided walking tour and it was fantastic. It lasted about 90 minutes. We saw all sorts of things we wouldn't have seen if we'd just wandered around on our own. Our next stop was at Annapolis Ice Cream Company. It was so hard to pick flavors because everything looked so good. We each chose something different and all were excellent. 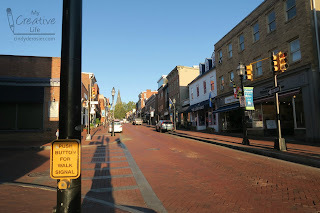 I should mention that Annapolis is a really cute town, with brick-paved roads and plenty of pedestrian-friendly features. We parked the car once when we arrived and didn't move it until we left Annapolis 24 hours later because everything we wanted to see was an easy walk. When we finished our delicious ice cream, it was late in the afternoon and we were definitely feeling the effects of our red-eye and the time change. We checked into our hotel, the State House Inn. 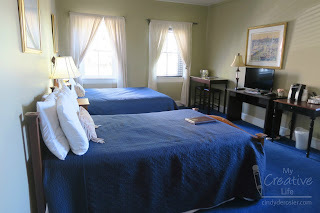 We stayed in the Prince William Room, which was just perfect for our family of three. 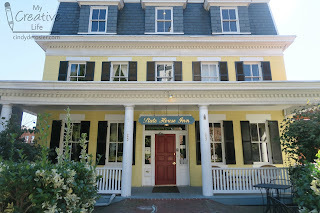 I spent a bit more time at the State House Inn than Steve and Trevor. They opted for dinner, while I chose to skip it and go to bed! 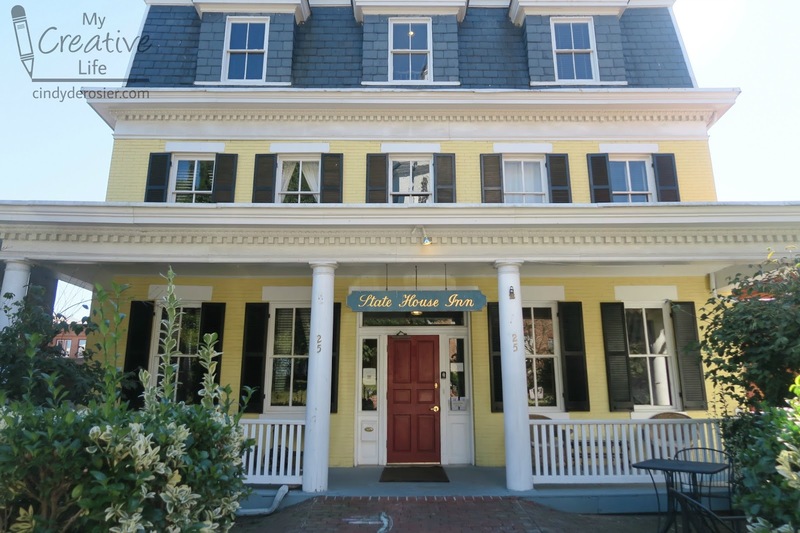 While I can't personally recommend it, both Steve and Trevor feel you should eat at the Federal House Bar and Grill when you're in Annapolis. We had a good night's sleep and were excited to start Day 2 of our adventure. While Steve and Trevor got ready, I headed over to Chick & Ruth's to get breakfast to go. 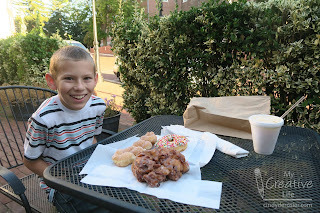 I ordered two donuts and a huge apple fritter for us to share. The weather was perfect, so I set everything on one of the patio tables in front of the State House Inn so we could dine al fresco. 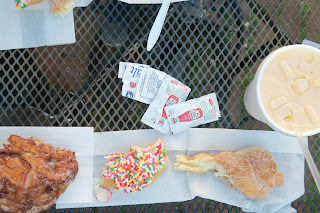 Now, I know I said that Chick & Ruth's was quirky, but surely they didn't expect us to put ketchup, salt, and pepper on our donuts or in our orange juice! Yet there they were, tucked inside the bag. I didn't discover them until I unpacked our donuts. Funny. 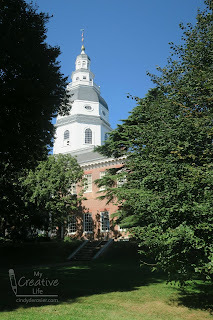 After breakfast, we walked a few blocks past the State House to St. John's College. 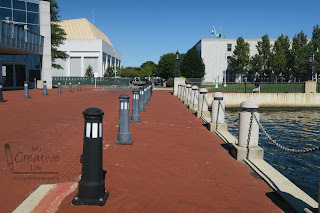 This is where Maryland displays their Liberty Bell replica. 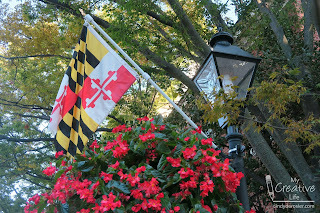 After a wonderful 24 hours, it was time to stay goodbye to Annapolis and head to our next destination. I'll tell you all about that tomorrow. Looks like you guys enjoyed yourselves....great photos! How FUN! LOVING all the photos!!! I miss back East!!!!! What a great trip! 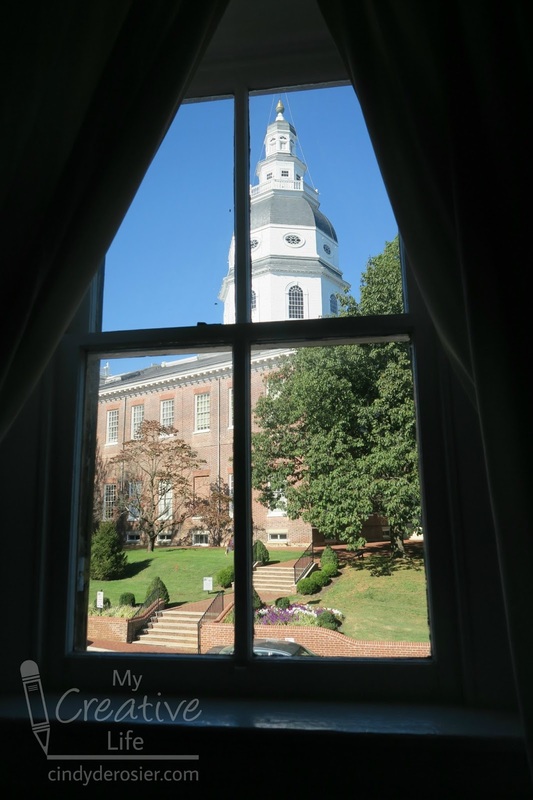 We are so glad that you enjoyed Annapolis and The State House Inn! Thank you for sharing your blog with us!